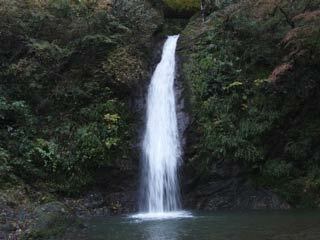 Chichibu Kegon Falls (秩父華厳の滝) is located in Minanomachi. It is 13m high and has the same amount of water fall though the year. Because it looks small version of Kegon Falls in Nikko, it is called Chichibu Kegon Falls. This water falls is surrounded by the red stones. With autumn leaves, this waterfalls have great impression with red stones and autumn leaves. There is free parking and restroom. At the top of waterfalls, there is Fudo Statue. From the Statue, you can see arial sight of the waterfalls. In the spring, there is cherry blossom.